We help organizations rapidly turn Digital Transformation into a sustainable competitive advantage. Red Panda delivers leading enterprises with superior systems that drive ideal outcomes. WHY PARTNER WITH RED PANDA? The Red Pandas is an award winning team of experienced software craftsmen who came together for their passion for creating well engineered software products with pragmatism and an eye on scale. ​Businesses in almost every industry find themselves at risk of Digital Disruption. Organizations are re-thinking business strategies and looking for new ways to strengthen their competitive advantage. Red Panda offers organizations an opportunity to gain insights and efficiencies never before possible, which can create competitive advantages in strategic areas such as customer engagement, business process automation and machine learning. At Red Panda, we provide the technology and expertise for companies to go beyond human limitations and create intelligent solutions and gain higher competitive advantage. 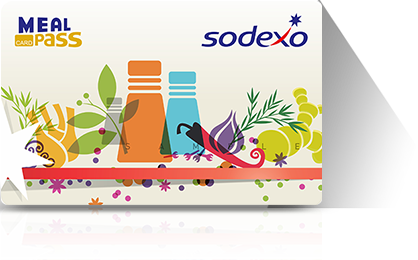 Partners for over 3 years, TheRedPandas have worked with Sodexo to digitally transform their benefits and rewards business. From building voucher transaction platform for South east Asia to e-Wallet and e-Commerce apps, Sodexo and TheRedPandas partnership has delivered many successes. Delivering cutting edge journalism, TheWire.in trusted TheRedPandas to build and manage their technology as they focused on scaling from 200 users/day to more than 500,000/day over the last 2 years. Automating fuels supply chain using a suite of custom IoT technologies to deliver sustainable cooking fuel from source to last mile, displacing the dominant charcoal markets. ​TheRedPandas and KOKO Networks partnership over the last 3 years has delivered products which are transforming the lives of people in East Africa. WE ARE BUILDING THE FUTURE, NOW. We take pride in our workmanship. ​Which is why we are willing to invest in the success of the products we work on.